This favorite holiday traditional dessert can be made in a variety of ways. 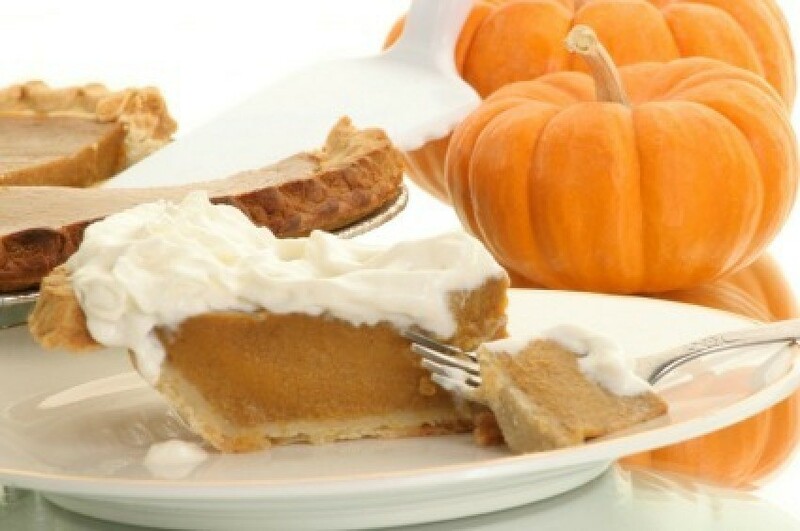 This page contains pumpkin pie recipes. I truly love this recipe. It's so delicious and different from the traditional pumpkin pie. And you don't have to bake it. Mix cream cheese, 1 Tbsp. milk and sugar until smooth, stir in Cool Whip. Put in pie shell. Beat 1 cup milk, pumpkin, instant pudding and spice. Put on top of other mixture and chill for 4 hours. By Barbara from Evington, Va. It's pumpkin season in New England and this looks to be good crop - great after last year's disaster. This recipe is my total scratch recipe for Pumpkin Pie - starting with a pumpkin. Prepare the Pumpkin: The day before you plan to make your pie, cook your pumpkin. Pick a Cinderella Pumpkin (they are short and wide with a light colored skin-looking like Cinderella's pumpkin carriage) because the very meaty and sweet and produce a creamy pulp when pureed. The texture is the secret to this recipe! I cut the pumpkin in half, seed it (I use an ice cream scoop with an serrated edge), then cut into 8ths and lay the pieces onto a cookie sheet and bake at 375 degrees F for about 30 minutes. Once the pumpkin is cooled, I scoop the pulp away from the skin, then I puree it in a processor. A large Cinderella (about 15 inch in diameter) will yield about 6 2-cup portions for pie - I freeze what I'm not going to use the next day, already portioned out. When doing this for future pies, thaw and strain out the water. FYI, I recently bought a pumpkin this size for $5 in Western Massachusetts. Make the Pie: Preheat oven to 425 degrees F. Combine sugar, salt, cinnamon, ginger, and cloves in small bowl. Beat eggs lightly in large bowl. Stir in pumpkin and sugar-spice mixture. Gradually stir in evaporated milk. Pour into pie shell. Bake for 15 minutes at 425 degrees F. Reduce temperature to 350 degrees F, bake for 40 to 50 minutes or until knife inserted near center comes our clean. Cool on wire rack for 2 hours. Serve immediately or chilled. My husband loves this pie and looks forward to the season when we can get fresh Cinderellas. It's a lot of work, but it's slow food that's well worth it. If you are gardener, I recommend adding Cinderella pumpkins to garden. Source: Crust recipe is from Weight Watcher's Best Ever Desserts. I am from the mountains of NC near Asheville. 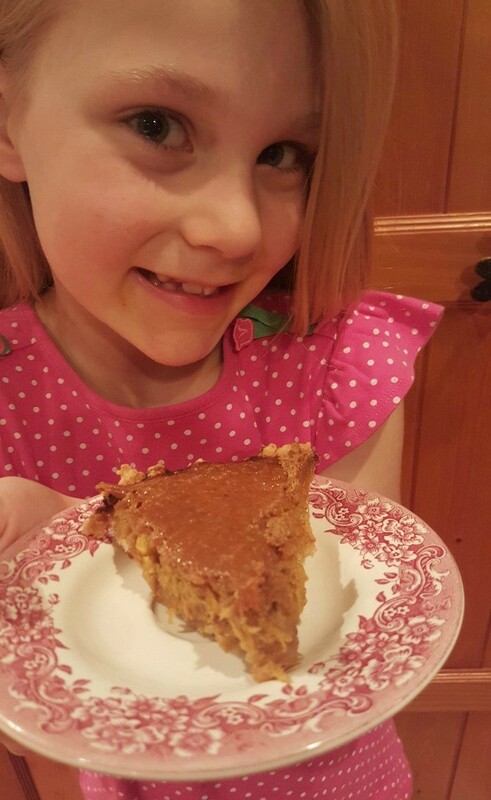 This is best pumpkin pie you will ever eat! My Mema actually used what she called "Candy Roaster", which is actually squash that they always grew in their garden. I don't garden so I use pumpkin and have even used canned pumpkin. FYI: Early 20th century Appalachian Thanksgiving feasts included "candy roaster pie," instead of pumpkin pie. The Candy Roaster is highly prolific, with huge (some can weigh up to 60 lbs!) longish fruits of light orange with green tips. It has delicious orange flesh that is highly recommended for baking. The cooked, pureed flesh also freezes very well. *For a lighter colored pie use pumpkin spice instead of cinnamon and nutmeg. Combine all ingredients in 9 inch deep dish pie crust or 2 small pie crusts. Bake at 400 degrees F for 15 minutes. Reduce heat to 375 degrees F. and continue baking for 40 minutes. The temps can vary depending on your oven. This will also make 6 - 8 tarts or 14 small tarts. Cook all ingredients together until thick and add the drained pumpkin or canned pumpkin. Pour into a baked pie shell, chill in refrigerator and serve with Cool Whip on top. Mix the pumpkin and egg together and stir in the milk. Mix the salt, sugar, allspice, cinnamon, cloves, ginger and nutmeg together. Pour the pumpkin mixture into an unbaked pie shell. Bake at 425 degrees F for 15 minutes. 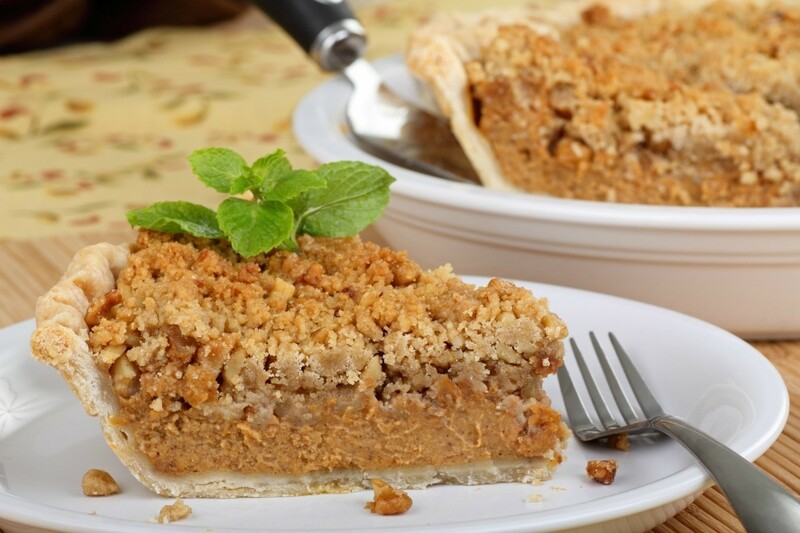 Add a crumbly Streusel top to your next homemade pumpkin pie. This page contains streusel-topped pumpkin pie recipe. This page contains homemade rustic pumpkin pie recipe. Making your holiday pie from scratch with your own pumpkin can be very satisfying. This is my favorite pumpkin pie recipe! Slightly beat eggs. Add spices, salt, and sugars; blend. Add pumpkin and stir till blended. Add evaporated milk and blend all by hand. Enough filling for a 10 inch pie pan. Mix everything together except egg whites. Beat those stiffly and beat in with remaining ingredients last with wire whip. Pour into unbaked pie shells. Sprinkle cinnamon on top. Recipe for Walnut Pumpkin Pie. Heat oven to 425 degrees F. Combine pumpkin, sweetened condensed milk, egg, 3/4 tsp. cinnamon, ginger, nutmeg, and salt; mix well. . . Does anyone have a recipe for pumpkin pie that doesn't use evaporated milk? About.com does a gorgeous "Fresh Pumpkin Pie" try doing a search on that site. I had it as my first ever taste of pumpkin pie and I loved it. I used to bake to sell from my home, and ran out of evaporated milk and just had plain old skim milk. I used that and it was the BEST pumpkin pie I ever tasted. Nice and light and very tasty. Since then, I have never used evaporated milk at all. Hope this helps. Just use the same amount of regular milk (I use the can from the pumpkin to measure since it is on a 1 to 1 ratio). I just use regular milk, also, what ever type you have in the refrigerator or make from powdered milk. Is there a reason you don't want to use evaporated milk? An allergy? I've made it with soy milk and it turned out fine. I usually add a tablespoon or two of flour to help thicken the filling. I'm sure any other type of milk (rice, almond, etc) could be used too. Viki, you can make your pumpkin pie without evaporated milk, no problem. I was baking for thanksgiving and had a panic attack when I couldn't find that can. I thought I had in the pantry! LOL funny how that works! So I took my chances, made it with regular milk, and added an extra 2 tb of sugar for sweetness. I was told it was the best pumpkin pie ever! Good Luck, Happy Baking, Blessings, nallorey. If it's just the sloppy part of using evaporated milk, long baking time, and not an allergy, try this one. It's the Eagle Brand Sweetened Condensed milk recipe which is much quicker to make and bake and oh so delicious! Combine all ingredients well, pour into crust and bake at 425 degrees for 15 minutes. Then turn the oven down and bake for an additional 35 to 40 minutes. Please could someone give me a American recipe for pumpkin pie? This is about as American as it gets: I don't know if you have Libby's brand over there, if so, it should be on the label (at least around our Halloween time (10/31). If you can't get Libby's canned pumpkin you can use another brand but it won't taste the same. Libby's seems to be thicker. If you can't get canned pumpkin at all you can use canned sweet potatoes drained and mashed for a similar pie. But the Libby's is the real thing. I agree with everyone else. Libby's pumpkin is the best and the recipe on the can is the best I have ever made and I have tried them all! Hope you can find it there! I don't have any canned milk and want to make fresh pumpkin pie. The recipe it calls for it. Is there a way to use regular milk instead? Replace in this recipe below, each 1/4 cup of nonfat dry milk with 1 cup of milk. For the recipe below, if I am doing my math right, that would equal out to eight cups of regular milk if you are substituting 1 cup milk for 1/4 cup powdered milk. In a electric blender,put milk,sugar,boiling water,margarine and vanilla essence into blender. Blend until sugar is melted and mixture is smooth. Pour into warm sterile jars .Seal and store in refrigerator. Never buy condensed milk again . Sweetened your teas and other delicacies and enjoy. The recipe is quick and easy ,no need to go spending a lot of money in the grocery for those small tins of milk. In though times this is very economical and finding ways to save every cent is important. This recipe makes 1 1/3 cups of sweetened condensed milk. I have always used just regular milk in my pumpkin pie. I just follow the recipe on the back of the can and substitute the same amount of whole or 2% milk. It makes a little bit lighter pie. But it is really good. This recipe was handed down from my mother-in-law. She was a farm wife and making recipes from farm produce was her specialty. This is a family favorite with rich flavor. Delicious served with whipped cream. Line pie plate with pie crust. Preheat oven at 450 degrees F. Put the remaining ingredients into a large mixing bowl. Stir together all the ingredients until blended. Pour into pie crust. Bake for 10 minutes at 450 degrees F and then change oven temperature to 350 degrees F and continue to bake for 30 minutes. Source: My mother in law, Beatrice whom passed away many years ago. Combine pumpkin, sugars, butter, eggs, milk, cornstarch, and spices in blender or with hand mixer until all are well blended. Pour into pie crusts. Bake at 350 degrees F for about 1 hour or until pies are set. 2 pies. Mix pumpkin, flour, sugars, spices and salt. Add egg yolks, milk, lemon and vanilla. Beat egg whites and fold into mixture. Bake at 350 degrees F until firm. Yield: 2 pies.